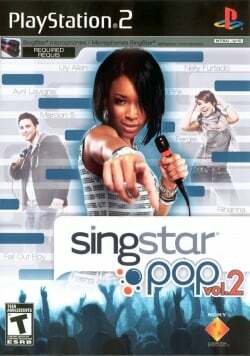 Game description: SingStar Pop Vol.2 for the PlayStation 2 represents a wide variety of songs and videos from some of the hottest pop artists on the planet. Featuring hits from artists such as Fall Out Boy, Fergie, Rihanna, and more, Pop Vol.2 really brings the experience of being a pop star straight to your TV. So sing, compete, and keep the party going! 1.5.0-dev-2878 GSDX SPU2 Use OpenGl(Software) as your renderer. Need QEMU USB plugin with the device type set to "Singstar". Be sure to turn up the volume or gain on your mic in your OS. This page was last edited on 13 January 2019, at 04:26.